JetEtch Pro TotalProtect ⋆ Nisene Technology Group, Inc. 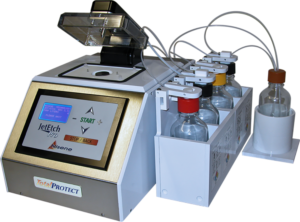 The JetEtch Pro TotalProtect is the world’s most advanced decapsulation system. 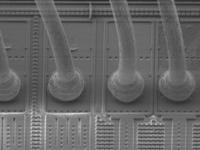 With an unequaled feature set, the TotalProtect can etch the widest variety of any integrated circuits of any system on the market while maintaining the integrity of sensitive internal components. It is the new gold standard. Only from Nisene Technology Group. The TotalProtect system comes equipped with all of the great features of the JetEtch Pro decapsulation system, as you might expect. It also comes with the patented bias voltage application process capability of the CuProtect. 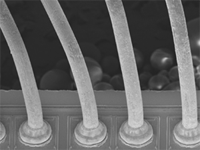 In addition to that, it ALSO has a special cooling feature that allows sub-ambient cooling of the etching acid. When combined with the bias application process, the TotalProtect offers the end user a tremendous range of etching parameters for virtually endless recipe combinations. It’s the total package for total protection. It’s the JetEtch Pro TotalProtect. 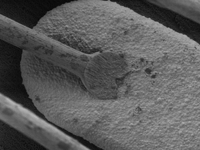 Examples of TotalProtect Decaps at High Magnification (SEM). If you are interested in seeing what the TotalProtect can do and are interested in one of these systems for your facility, send us a set of samples and we’ll prove the concept for you free of charge.